SHANGHAI JAC TRADE CO., LTD.
Shanghai JAC trade company is a professional engaged in refrigerated food imports high-end meat trade company, in nanxiang town, jiading district, Shanghai. 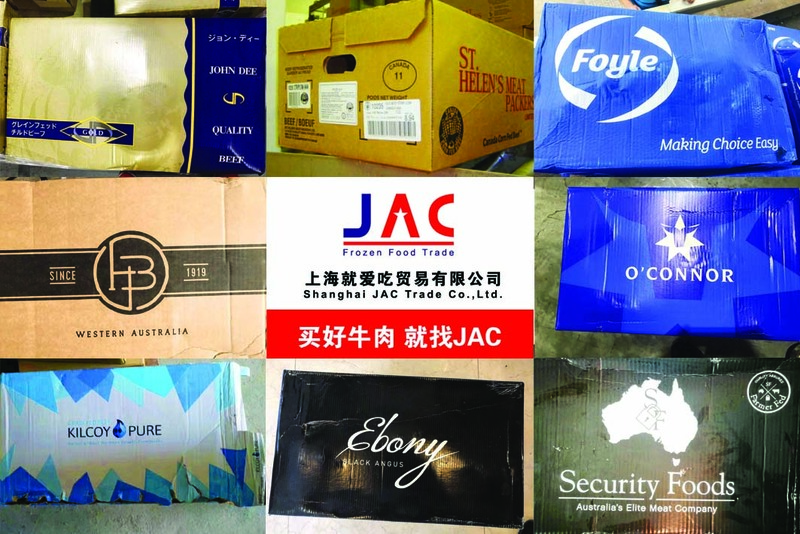 JAC have one company for owns terminal supply food companies, have one company for processing products brand, involves the import trade, food supply, food processing and other channels. Company since its establishment, relying on decades of meat trade experience, and excellent team of professional research and development of new products, and perfect sales service team, in the service of the big chains, business and food processing plants, to provide customers with solutions of frozen food.